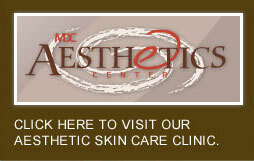 Welcome to Murfreesboro Dermatology Clinic & MDC Aesthetics Center! 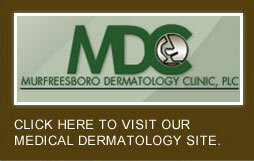 We are very happy you have chosen Murfreesboro Dermatology Clinic, PLC, Mt. Juliet Dermatology & MediSpa, & MDC Aesthetics Center for your skincare needs. Maintaining a comfortable and relaxing environment in which we serve you is one of our most important goals. Our business is treating all forms of skin disease, nail and hair disorders, including sexually transmitted diseases. Since your well-being and good health is our primary concern, we will make every effort to ensure that your visit is a pleasant one. We look forward to providing you with quality dermatology care for years to come.